A G Announces series of public consultations on electoral reform. Dominica’s Attorney General Levi Peter says his office will engage in a series of consultations to educate citizens on matters of electoral reform. 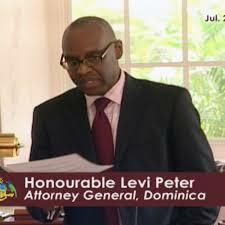 Mr. Peter made the announcement on Focus on Government and Development on Thursday evening with Daryl Titre. The sensitization efforts come as public debate rages on about the issue of electoral reform and the electoral process.